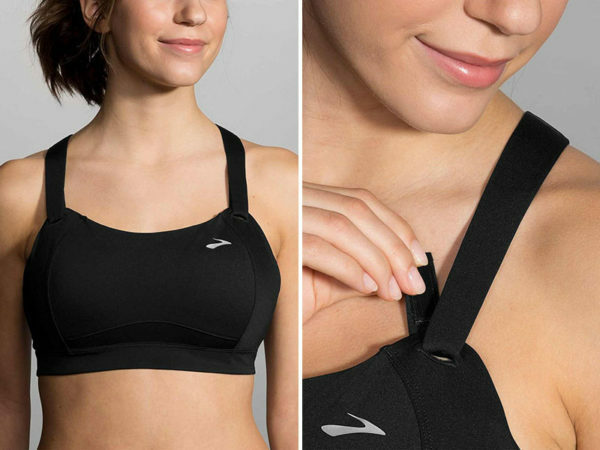 Looking for a supportive bra that will allow you to both a) exercise in without causing pain and b) still easily feed your baby before dropping them into the gym creche? Here’s seven maternity sports bras that nail the activewear brief! New Zealand brand Cadenshae has made active wear for mums their business, so it goes without saying they have brilliant nursing sports bra options. The Fit2Feed Activewear Nursing Sports Bra, NZ$59.99 maintains a fun sporty look with all the practicality of drop down cups. Available in four colours and five sizes, you can order it direct from Cadenshae. Super supportive, the Zest Flexi Wire High Impact Maternity and Nursing Sports Bra minimises bounce and wicks away moisture, so you can really get a sweat up! Available in sizes 10B to 18H, it’s priced $89.90 from Cake Lingerie. From La Lech League, the Loriann Maternity Nursing Sports Bra is perfect for low impact exercise – we wouldn’t blame you for wanting to wear it day in, day out. Priced $39.95, you can find it at Queen Bee. Hotmilk has several sporty options for nursing mums, including the brilliant royal blue Activate Sports Flexiwire Nursing Bra, $79.90 (pictured top). The uber comfortable crop top style Yoga Nursing Bra, $49.95 (pictured above) is also available from Hotmilk. From the Brooks Moving Comfort collection, the Juno Sports Bra come up trumps. While not marketed as a maternity bra, its velcro strap arrangement not only lets you adjust the support, it works wonderfully for breastfeeding mums. Priced $109.95 from Sports Bra Direct. From the bang for your buck file, we love Target. The Active Maternity Bra is available in two colours, is lightly padded (perfect for concealing nursing pads) and wire free for comfort. Run, skip or pilates your way to Target to purchase, priced just $25.